The gift of a library! Recently the good McDermott Road congregation in Plano, Texas decided that their church library wasn't being used much by its members and could surely be put to better use somewhere else. They made it known that their library was "up for grabs" and as you can imagine, there were many suitors. However, the chose the Bear Valley extension program to receive all 2,000 volumes! Missions minister Mark Bryon said, "The Bear Valley extension program most suits the desire we have for the continued use of this library." We are beyond thrilled! Obtaining books for extension schools is a constant need and this is literally the answer to many prayers. We also appreciate their great pulpit minister, Wes McAdams. But how do we get the books to places like Ghana, Liberia, and Kenya? That's where our good friends at Mission Printing come in. They are letting us put boxes and boxes of books into their containers that are already headed to the countries where we have schools. And the best part? They don't even charge us to do it! 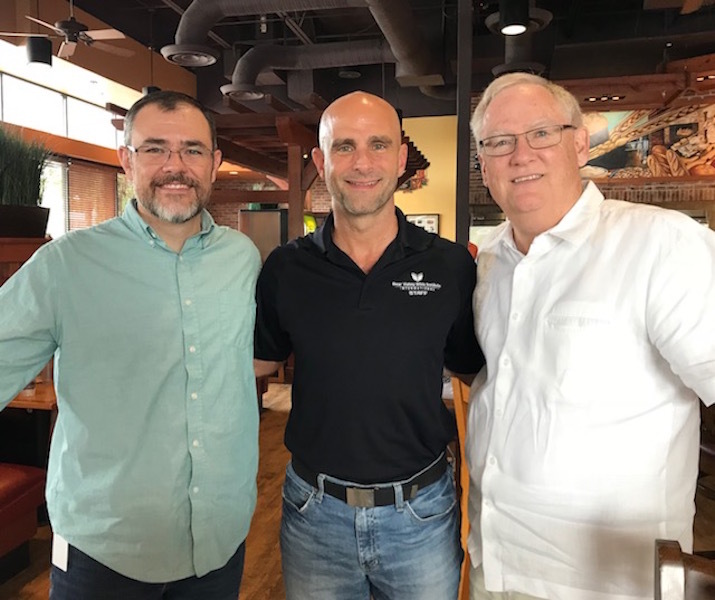 We are blessed to have so many partners who also share our belief that training preachers all over the world is the most effective and efficient way to carry out the Great Commission. Posted on June 18, 2018 by Keith Kasarjian.